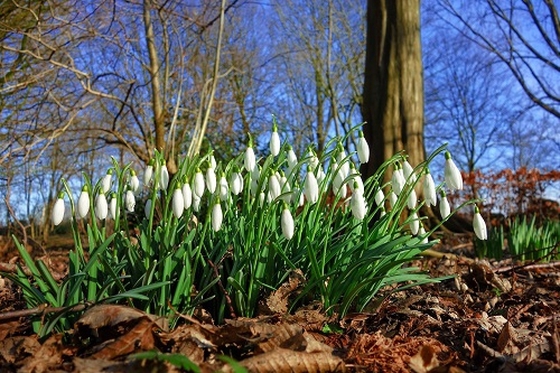 At last, things in the garden are starting to stir – crocuses have poked their heads above the soil, snowdrops shake as the wind blows over them and the promise of daffodils can be seen in the long thin leaves that seem to grow day by day. Yes, things are on the move and nature is reawakening. But, as we know, it won’t be plain sailing, there will be frosts and storms, rain as well as sunshine before we know that spring has finally arrived. I often think that our spiritual life is a bit like a garden. Sometimes it is barren and bleak, sometimes filled with flowers. Occasionally the weeds take over we need a good clear out. And, every now and then, something that seemed to be so lovely, when it grows too much and seems to stifle everything else. We need to be pruned and weeded, fed and watered spiritually to be our best, to be what God want us to be. This means that there will be times when we seem to be far from God, just as there are times when we feel him close, and we need the contrast, just as we need happy and sad times to know what true happiness really is. So tend the garden of your soul, not with fast fixes and latest trends, but with the tried and the tested – time for contemplation, quiet, time to feed on the Word of God, time to pray.